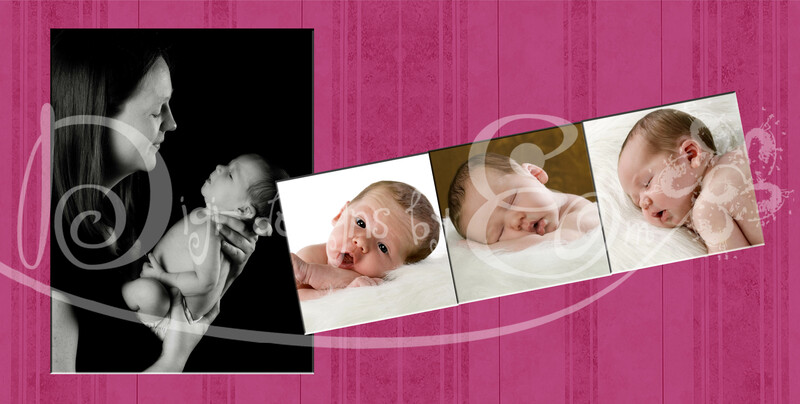 What initially attracted me to the world of digital design is digital scrapbooking. I LOVE to create my own digital scrapbook pages and kits. As I have learned more about design and refined my skills I’ve decided that there is even more that I want to do. Playing with everyone elses photo’s has led me to have a desire to learn to improve my photography skills. All the research that I have done on that topic has introduced me to the world of professional photography in a way I never knew truly existed. I was completely unaware of the fact that many kids have a Senior portrait session their last year of High School, for example. I have discovered that professional photographers are always on the look out for a well designed album, card, or other options to display their work. This is what I want to focus my efforts on for the time being. This blog is going to become a place for me to showcase and sell that work. I will try to update and add more designs at least 2-3 times a week until I have a good supply built up. Every Friday I’ll upload a freebie so that you can get a feel for my work. I’d also like to work on making some tutorials for those desiring to create their own designs. On top of it all I want to continue improving my own photography skills and sharing with you along the way with Wordless Wednesday’s. Please leave a comment letting me know what types of designs you’d like to see, what you’d like to see as freebies, what tutorials would best serve you, and anything else you think I can do to make this blog relevant to you!